A surprise pregnancy saw young accountant Laura McBain trade the hustle and bustle of Sydney for the more sedate pace of Tasmania, in a bid to balance her fledgling career and family. But instead of embracing the quiet life, she has ended up heading a dynamic organic baby food company that is turning heads on the international stage. “I started my accounting career straight out of high school, and I did a cadetship with Crowe Horwath [formerly WHK] while I was at university,” says McBain. That’s when the career plan hit “a spanner in the works” – the arrival of a baby for McBain and her husband. Despite returning to work after the birth, the grind of the Sydney commute proved too much and the couple decide to move closer to her parents-in-law, in Tasmania. Ironically, the in-laws soon returned to New Zealand, but she has never regretted the shift. “It is a fabulous place to raise a family and you are two minutes from the office,” she says. Even back then, McBain says she knew she wanted to run her own business. “That was the driver,” she says. McBain was a senior accountant at Launceston firm Ruddicks when she first encountered start-up Bellamy’s Organic. A family business launched in Launceston in 2004, Bellamy’s was undercapitalised and its financial controller had left. McBain was seconded to the company to take over the controller’s job – and found herself unexpectedly exhilarated. “All of a sudden, I found myself doing everything that I had ever wanted to do,” she says. When the secondment ended, she went back to her normal accountancy job, but Bellamy’s came knocking, appointing her general manager in the first few weeks of 2007. “I remember standing in the kitchen with my husband and saying: ‘This is such a massive, massive risk’,” she recalls. But husband Roger McBain, also an accountant and a partner with Deloitte in Launceston, urged her to run with it, telling her she would never get an opportunity like it again. “I managed the whole thing, answering the phones, talking to mums about their babies’ health requirements, answering questions about poo,” she says. Bellamy’s was taken over by a Tasmanian group of investors under the Tasmanian Pure Foods Ltd banner. McBain began using Tasmanian Pure Foods chairman and current Bellamy’s director Rob Woolley as both mentor and sounding board. Together they sat down and crunched the numbers. “I got to know Laura and we had the view that there was an ability to develop the business,” he says. Bellamy’s sold off its orchard and factory to concentrate on the brand and logistics. It fine-tuned its marketing message to tell mums why they should prefer Bellamy’s to conventional products. But the firm had bigger issues. McBain was also slowly realising that Coles’ and Woolworths’ purchases – at that time accounting for 90 per cent of Bellamy’s business – were a point of vulnerability. The supermarket giants were supportive. But if they walked away, Bellamy’s would fold. McBain doesn’t remember any one particular “light bulb moment”, but she does recall that “there were times when products were deleted from trade – which reminded us that we were small and vulnerable and needed something big to happen to change that”. Knowing the limits of the Australian market, they looked abroad. “The company had changed hands on the basis that we could grow this thing, so we had to look outside of Australia,” says McBain. McBain had some friends in Shanghai, so she decided to try her luck there. “Rob Woolley and I pretty much got on a plane and met some Australians and had a look around,” she says. “We started building a network in China with lawyers, other accountants, PR companies, and a lot of them were ex-pats,” she adds. The organic product struck a chord with Chinese mothers looking to protect their babies, usually their only child. “We fit into the super-premium infant formula category. We are highly regarded. The mums buying it are looking for safe, 100 per cent certified organic product,” she says. McBain, who became chief executive officer in 2011, says her work in the accounting firm, dealing with a range of micro, small and big businesses, was a big help. “You get to see all of those ways of operation and see how these companies harness all those experiences in order to set your own goals,” she says. 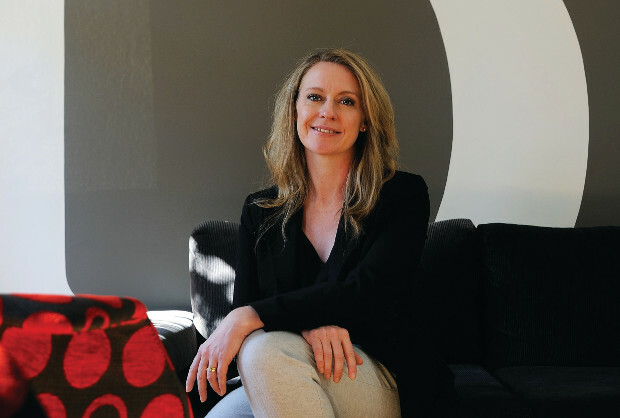 A national finalist in last year’s Telstra Business Woman of the Year Awards, winner of the national private and corporate sector category and Telstra Tasmanian Business Woman of the Year, McBain says Bellamy’s is now balancing its books, with 12 per cent of the Australian market. The company employs 30 people directly and up to 300 indirectly – “we’re a significant employer in Tasmania” – and is on target to reach $50 million in revenue this current financial year, up from $3 million in 2007. IT is the dream of many small Australian food manufacturing companies to crack the booming China market. And right now Laura McBain is living it. 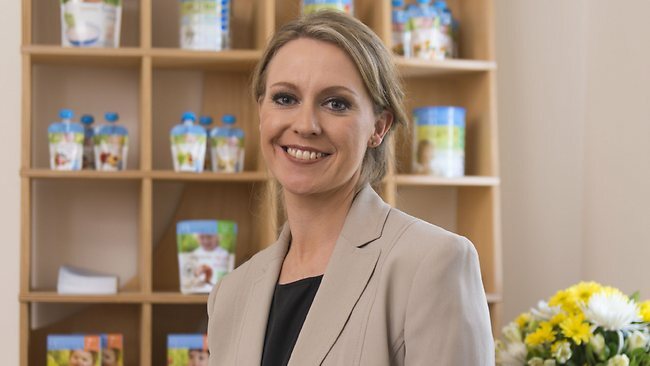 Her Launceston-based baby and toddler food company Bellamy’s Organic has increased revenues 10-fold over the past six years and this year they will top $50 million. 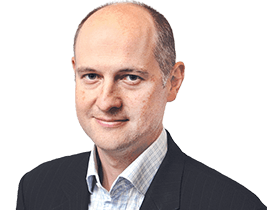 “We now have the opportunity to get to $100m turnover and we can do that within two years because we really have been supply constrained for such a long period of time,” McBain tells The Weekend Australian, reflecting on the supply dynamics of a sector, which is still building scale in the food industry. The achievements of the former chartered accountant were recognised late last year when she was named Telstra Business Woman of the Year in the private and corporate category. One of the keys to Bellamy’s growth story has been its booming export business into China as well as Singapore, Malaysia, Hong Kong, Vietnam and New Zealand. Bellamy’s Organic products range includes infant formula, cereals, ready-to-eat meals, snacks and toddler milk; and in Australia the products are in 3000 outlets including Coles, Woolworths, Chemist Warehouse, Toys R Us and Big W.
The group now has a 12 per cent share of the local formula and baby food market. But the international leg of the business now gives it diversity, especially when negotiating with the powerful supermarket chains. “While they are very big and very powerful, they do give you an opportunity to reach out to the whole of Australia,” McBain says. “There is an enormous benefit for a brand to access their network. I do have a very big business with Coles and Woolworths. It is very important to us. McBain, who doesn’t speak Cantonese or Mandarin, says the key to cracking the China market comes down to several simple rules of thumb. “Be very clear on your brand and what your objectives are in China. There are many ways to be distracted,” she says. “And always be asking questions. It is a difficult place to do business. Reach out to other Aussies in the expat community. The Victorian government is partnering with the Australian China Business Council to provide up to $250,000 to deliver regionally tailored export seminars entitled “Doing Business in China” to help SMEs in all parts of regional Victorian seize opportunities to trade with China. Now McBain is looking further afield for expansion opportunities in Vietnam, Malaysia and Korea. Last month she went on a fact-finding mission to Seoul. “We’ve got a really strong brand that mums do connect with,” she says. McBain joined Bellamy’s as general manager in 2007 but the company — founded by Tasmanian farmer David Bellamy — was battling. Its turnaround started when a group of eight families formed a company called Tasmania Pure Foods, which has since owned the business. The group was led by Rob Wooley, the chairman of listed agribusiness Tandou. Since then, TPF has been prepared to put fresh funds into the business on several occasions, especially to built inventory for export markets like China. “We are very profitable. We certainly were not in the beginning and we had to turn it around. But we are now,” McBain says. Kate McKenzie, Telstra chief operations officer and Telstra Business Women’s Awards Ambassador, says McBain took over “something broken and built it into something whole and sustainable that is now in the growth markets of Asia”. She describes her as inquisitive, highly networked, hard-working and inspiring with good leadership and communication skills. McBain says Bellamy’s is open to pursuing acquisitions, but a sharemarket float is not on the radar for the time being. “We would certainly look at any businesses that had a good fit for us and where synergies could be gained from us joining forces,” she says. On the float prospect, she replies: ” Never say never but we are purely focused on the growth at the moment. Who knows what happens in the future.